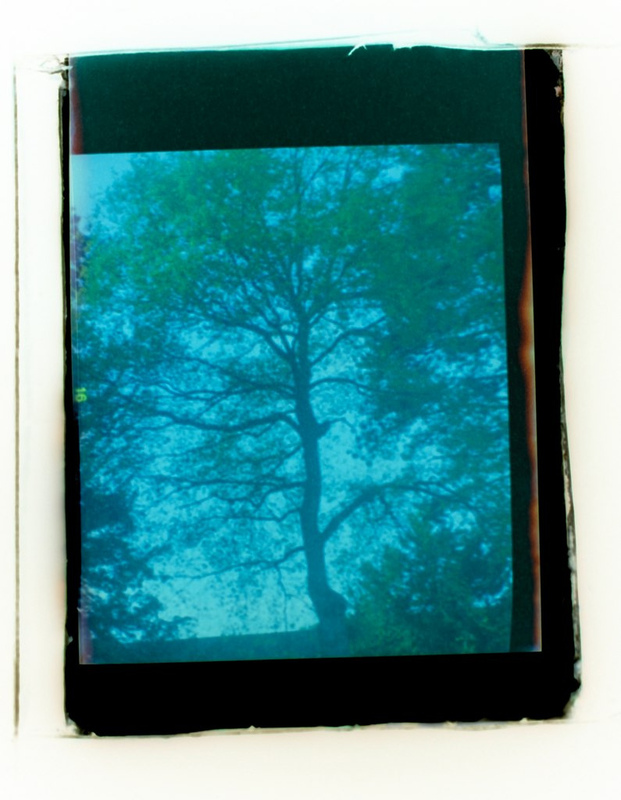 Film photography is slow, expensive, limited and prone to mistakes, errors and fogged film. However it’s also a rather joyful experience with random surprises thrown in from time to time. Being able to take only 10 or 11 precious shots at a time and then having to wait ages to get your photos back makes a contrast to the instant gratification of taking thousands of digital pictures. Although I love the ease of digital photography I miss the magical moment of watching the perfect image appear on a print in the dark-room developer tray, often after many failed attempts. Recently I picked up an old Kodak brownie camera in a junk shop – it was a “Number 2 Cartridge Hawk-Eye Model b” – proof that the practice of giving your product an impressive complicated sounding technical name is not a new one. It’s a very basic camera, consisting of a leather covered cardboard box with a mechanical shutter and a single element meniscus lens, which is inside the camera (giving it a confusing look of having lost it’s lens). It dates from between 1926 – 1933 and takes 120 roll film – still available from the Lomography people and ebay. Once I’d worked out how to get it open (you rotate and pull out the film winder and then release the 2 fastener hooks) I thought I’d have a go at taking some pictures. Since the safe light window on the back of the camera was showing it’s age and was a faded orange I covered it up with a blu-tacked penny. After a bit of experimentation with a roll of paper I was able to work out how much to wind the film on – for reference 4 turns of the winder are enough to load the film, and 2 turns to advance to the next frame. The camera has a shutter speed of 1/30 second. I’ve no idea of the aperture, although the rotating shutter has a fairly small hole. The mechanism is similar to that found in the Lomo Holga. Next step was to get some pictures developed. I initially opted for develop only from the lomo store, as I wasn’t entirely sure if I’d see anything back. My first film only had a few photographs on it as I hadn’t then worked out the proper winding / picture ratio. To get the negatives into the computer I built a shoebox slide copier. Well it works. I’m not sure of the shoe-box photo method for colour negatives, although the ghost like quality of the images presents an interesting creative opportunity. Anything closer than 6 feet from the camera is a bit blurry. Landscapes came out better, although colour was quite interesting (the photos already look old) either as an artifact of the lens, or as a result of the film and processing. I’ve dug out my old 120 black and white film stash and processing spirals to have a go with black and white. Update: my old school photography got a mention on the BBC! as part of an article about the sad demise of Kodak.